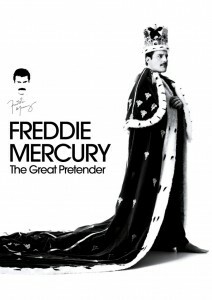 Shock Records has announced the forthcoming DVD release of ‘Freddie Mercury : The Great Pretender’. To be released on DVD and Blu-Ray, this new documentary brings together archival footage from as far back as 1976, unleashing a host of material, some of which will be seen by the public for the very first time. It’s been produced and directed by Queen devotee Rhys Thomas and is set to feature concerts, rare interviews, video shoots and more (from within Queen as well as Freddie’s solo work), along with contributions from Brian May and Roger Taylor, band manager Jim Beach and even Little Britain’s Matt Lucas. Included is Freddie singing ‘Take Another Piece Of My Heart’ alongside Rod Stewart, an unreleased song from 1984 and even a snippet of the unreleased Michael Jackson collaboration ‘There Must Be More To Life Than This’. ‘Freddie Mercury : The Great Pretender’ will be released in Australia on Friday September 28.